Happy Mother’s Day to all of the moms out there who are CEO and President of… EVERYTHING! If recent orders and shipments are any indication, you are indeed a popular, well-loved bunch. We broke our own record for largest number of bouquets produced in a day on May 1 (133,132 bouquets.) 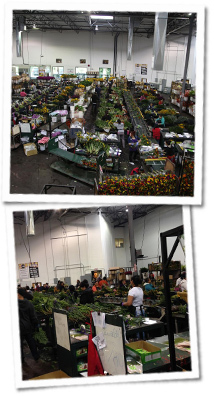 And well over one million bouquets will go out our doors before end of day Thursday, May 8. With your help, Dos Gringos is living its vision to bring smiles to millions, and this month those millions include many moms! 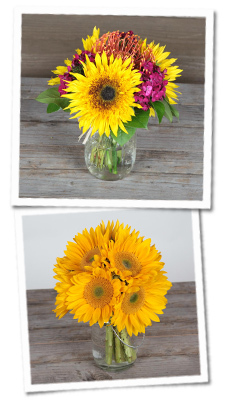 We continue to enjoy a strong sales lift from our fun, price-friendly Mason Jar arrangements. This year’s addition of the BAM (yes, this is short for Big A** Mason Jars… sorry Mom) arrangement offers even more choice and variety. This product is a great example of DG’s ability to create a new offering, test it adequately, and bring it to market in a seamless, successful way. Our Mason jars pack well, travel well, maintain hydration, and WOW recipients. Nice. Once we complete trying to execute Mother’s Day as beautifully as you expect and deserve, we’ll evaluate spring season performance overall to identify and prioritize opportunities – and then we’ll jump straight into Sunflower season. Weddings, graduations, reunions, and a general desire to enjoy time outdoors give us all kinds of venues to strut our stuff and our expertise with Sunflower color, size, and texture. 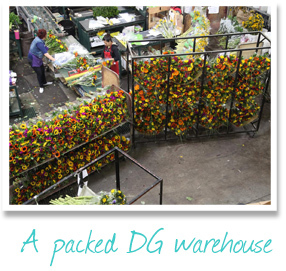 Added production and capacity from DG East in Miami means you won’t find Sunflowers fresher or faster anywhere else. Our move this spring to a fresh flower bar code inventory system should help keep costs in line, and additional summer projects will look at what’s working and what needs work. As always, please reach out to me directly if there’s something you’d like us to consider. Here’s to a strong spring finish and a terrific start to summer. Go flowers! 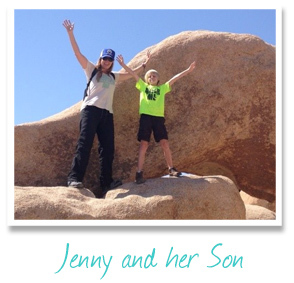 This month we feature long-term teammate, Jenny Butterfass, who celebrated her 10 year anniversary with D.G. this week. Q. Wow, 10 years. What have you been up to these last 10 years on the personal side? A. As far as life events.. I got married after the first few years of working at Dos Gringos. We had a son who is now 8 and recently bought a home in Oceanside. As far as things I’ve been doing- I love being outside and like to travel to the Eastern Sierra, explore the Desert areas like Joshua Tree and Anza Borrego near San Diego and the CA Coast. Q. How has dg changed in 10 years from your perspective? A. I’d say the main thing is growth in all departments. We’ve had to become larger to support the demand for our flowers and greens. Even though we are larger, we’ve still retained our culture and in fact it seems stronger now than it was when I started. Q. Favorite part of your role? Q. Favorite memory year 1? A. The energy in the office. We were all crammed into one room and literally on top of each other so it was fun hearing everyone on the phone in the morning. I miss talking daily to clients like we used to-I find buyers prefer to do more business via email these days so there is less of that one on one. Also loved doing my daily cooler walks to get ready to call our wholesalers. -We had a smaller cooler back then and it was packed full of fun local items like Calendulas, KPaws, Riceflower, Yarrow and local short run seasonal items. Q. Favorite memory year 10? 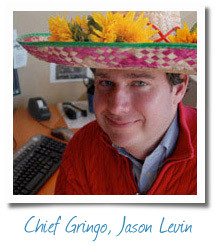 I also remember all of the great people that I’ve worked with through the years and teammates I work with now- Dos Gringos is a fun and innovative place to work. Each day’s quality really comes down to who you surround yourself with and their attitudes and energy. I see such amazing recipes and execution on the production line. What we can do for our clients overall sales is really unlimited if they want to innovate and grow with us.